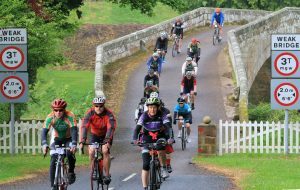 The Wooler Wheel organisers have just announced that their next Borderlands Cycle Sportive on May 12th 2018 will raise money for the British Heart Foundation. The charity was chosen in memory of Leigh Robinson from Alnwick, who was passionate about anything to do with cycling and who had taken part in previous Wooler Wheel events, who sadly died last November aged just 45. 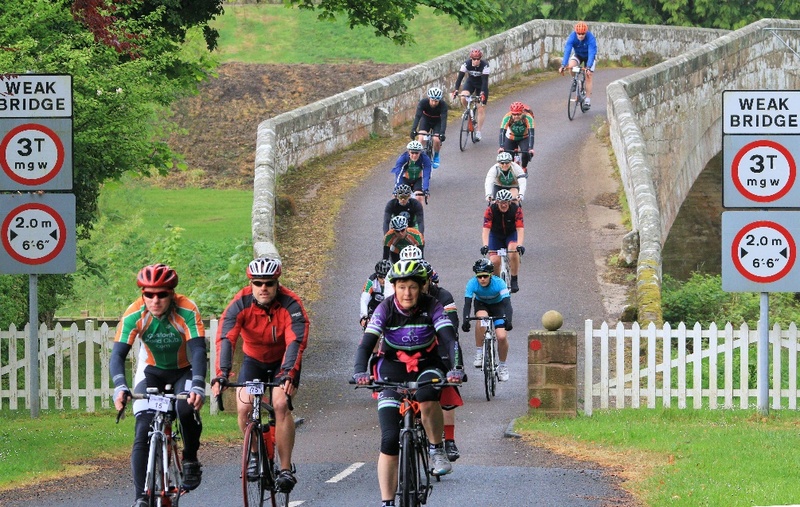 Offering rides of 170km, 100km and 60km plus a Junior event for accompanied under 16s of 30km the Borderlands event has been running since 2014 and has had over 2,000 entries to date. With several distances everyone can take part in to help raise money for this worthy cause. Dan McNally, Area Fundraising Manager for British Heart Foundation said “a big thank you to the Wooler Wheel for their incredible support, we are so very grateful to be chosen as beneficiaries of this year’s events and are looking forward to making this year another successful one”. Dan continued, “today, the British Heart Foundation fund 100s of research projects across the UK including the North East, that are fighting heart disease and finding new cures and treatments for Heart Patients. The British Heart Foundation have also placed over 76 lifesaving defibrillators across Northumberland, equipment that greatly increases the chance of survival from cardiac arrest, and they have a funding scheme active now to help place more in rural areas”. 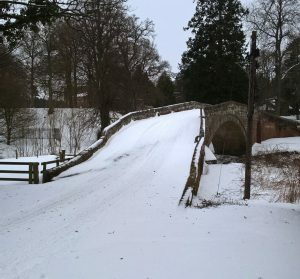 The same bridge in March 2018. Here’s hoping for nicer weather next month! Whichever ride you choose you are guaranteed a great time and treats along the way with the feed and water stations providing tasty treats such as flapjacks, jelly babies, fruit bars and bananas. And when you’ve finished there’s a welcome sit down and a hot meal, which, as many a rider will tell “it’s worth doing the ride just for the steak pie and mushy peas”. Lastly, the real treat for those who can take their eyes off the tarmac are the fantastic views of the beautiful countryside both in North Northumberland and the Scottish Borders. And if cycling isn’t really you can still help us to raise money for a really worthwhile cause by being a marshal on the day itself.